In naturopathy, we treat illness with natural remedies first. While there are times that prescription medication may be appropriate, we always begin your treatment protocol with holistic and simple remedies. While naturopathy may be considered alternative medicine, we know that it’s the true traditional medicine, as naturopathy is what our ancestors used. Your body can heal itself in truly incredible ways, if we simply give it the tools it needs. When your body has all the ingredients for healing, it can take care of itself, with nothing needed from the pharmacy. Many naturopathic remedies help a number of ailments, while prescription medications are formulated to treat just one issue. Naturopathy works with the body to promote healing, and there should be very few side effects. However, if an ailment is long-standing, or if the body has a large number of toxins to release, there may be side effects from even naturopathic remedies. We believe simple is best, and our favorite natural remedies are those you have in your pantry or can easily find in your local store. Herbal teas are especially helpful for illnesses of the throat and lungs, such as a sore throat, the flu, and the common cold. 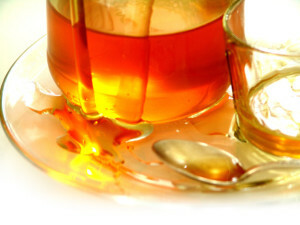 Herbal teas also relax the soul and spirit, and many people use them to cope with stress, sadness, and soreness. In addition, teas play a major role in aromatherapy, which uses fragrance to effect healing, and a hot cup of tea stimulates your senses of smell, taste, and touch. If you have a favorite herb, tea is an easy and inexpensive way to enjoy it. Common herbal teas include ginger, which relieves upset stomachs and colds; dandelion and milk thistle tea, which helps purify the liver and improve its function; and chamomile, which aids sleep. In addition to relieving nausea and vomiting in tea form, fresh ginger battles bacteria and helps your body rid itself of toxins. Simply grating ginger over food is the simplest way to use it. Ginger also reduces inflammation in the body, which reduces the risk of diabetes, heart disease, and other chronic illnesses. Whether we use it as a saline solution or simply filter it to drink, water helps the body heal in many ways. It prevents and relieves dehydration, which is a serious issue that most of us face. Most of us are chronically dehydrated but don’t realize it until we experience constipation, dizziness, headaches, or blood pressure problems. We recommend Kangen water because it hydrates your body six times better than bottled or tap water. It also improves cellular health and protects against DNA damage. Drinking at least 64 ounces of Kangen water daily will help your body function and detoxify normally. Warm saline water helps cold congestion and sore throats. The more water you drink, the thinner the mucus becomes—which means you can expel it more easily. To help a hurting throat, add one teaspoon of salt to a cup of warm water, mix well, and gargle. Using a neti pot can rid your sinuses of congestion or pollen. Simply fill the pot with 1 cup warm saline water (dissolve only ¼ teaspoon of salt in it), and bend over a sink while tilting your head to one side. Pour the contents of the pot into one nostril, and the saline will flow out the other, taking the toxins with it. Fresh garlic is a multifunctional naturopathic remedy: it is antiviral, antibacterial, and antifungal. Garlic is also effective in reducing blood pressure. One of garlic’s best qualities is that it’s so versatile. You can add it to hot drinks if you feel under the weather, you can crush it and add it to food, or you can eat the whole clove. Garlic capsules are a fine substitute, but, as with anything, fresh is best. An effective immunity booster, raw honey is also antifungal, antiviral, and antibacterial. Its many uses include skin healing, suppressing coughs, reducing allergies, and promoting sleep. For best effects, buy honey collected in your town, which has a small amount of the local pollen. Eating this honey regularly will help desensitize your immune system and help you get through allergy season more easily. The simplest remedies are always the best place to start. For more naturopathic remedy ideas, or to find out how they can help you, please contact us to schedule a consultation.